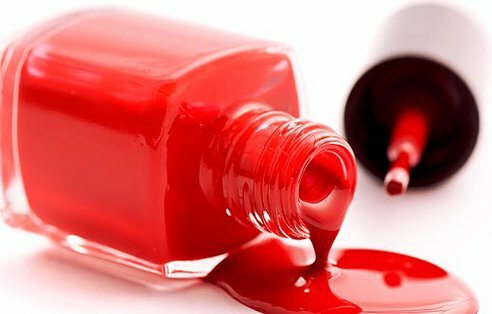 What's Nail Polish Actually Made Out of and How Does It Work? Us girls are constantly changing our nail lacquer color to match our outfit, jewelry, next event, yearly season, etc. If you're anything like me you've once found yourself asking the question "How does nail polish work and why does it last?" I find myself going back and forth from different nail polish companies and going from getting my nails painted with normal polish to gel or shellac nail polish at the salon (especially if I want my nail polish to last longer). According to chemistryblog.com, normal nail polish is made from nitrocellulose (which is a highly flammable and explosive compound) dissolved in a solvent. However, somehow the nail polish companies must have figured out a way to make the nitrocellulose less explosive because fortunately for us, our nails haven't exploded! Nitrocellulose is what we have to thank for our nails having a great shine after the solvent dissolves/our nails dry. Now, how does it stick to our nails? 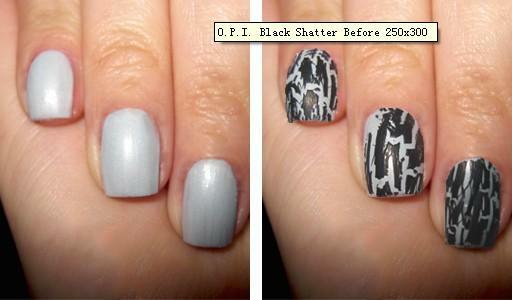 Nail polish sticks to our nails because of different "plasticizers" in it. These plasticizers are usually made out of some sort of fatty acid or castor oil. They are also super important because without them, our nail polish would not be flexible and would crack and chip more easily than it does now. -Shatter is made out of nitrocellulose (just like regular nail polish) but instead; it is mixed with a fast moving solvent such as ethanol. -Ethanol is fast dissolving and does not let the nitrocellulose dry evenly on the nail creating a gathering affect. -When the ethanol dissolves it clumps up the nitrocellulose in the pattern it dissolves in and causes the shatter/crackle effect. I.e. the reason it must have been found as a design flaw. Last but not least, the question of "why does shellac or gel nail polish last longer?" must be resolved. Let's start with its ingredients. Shellac nail polish isn't made with nitrocellulose like regular nail polish is; it's made with methacrylate monomers (something you'd find in acrylic nail polish). It's mixed with benzoyl peroxide (usually) in order to help initiate "hemolytic bond cleavage" (which is a process that causes an electron pair to split/the bond to break). Benzoyl peroxide forms two oxygen radicals during this process and until the monomers have polymerized (or formed a polymer which is defined as a substance that's molecular structure consists of largely similar bonds bonded together), the process is incomplete. A protein specific monomer (defined as a molecule that when bound to other identical molecules forms a polymer) or hydroxyethyl methacrylate (which was one of the first materials introduced in the manufacturing process of flexible contact lenses, adheres well to the nail bed. Once it is turned into a polymer, it becomes extremely chip resistant. Poly/methyl methacrylate (the polymer of hydroxyethy methacrylate) is often used as a product of Plexiglas, which is both extremely durable and flexible. Given this, it is understandable that nail polish with similar properties as something as strong as and chip/crack resistant as Plexiglas would last the longest out of any other product on the market for natural nails. After learning what's really in nail polish, what do you think should be changed about it? As an avid nail polish user myself, I'm wondering if all these chemicals that go into nail polish are harmful to our bodies. I know for the most part that our nails are impermeable (I think), but is there some way that these toxins could be getting into us? I also wonder if nail polish remover is harmful to our skin, especially when it touches cuts and scrapes and can get directly in our blood stream. But I will say, it would have to take a lot for me to stop using nail polish, so unless there was some SERIOUS research done and some inarguable evidence...then maybe I would consider giving it up.